The Asian Development Bank’s (ADB) Board of Directors recently approved a US$150 million loan to help improve economic connectivity and raise living standards in four northeastern provinces of Vietnam by enhancing basic infrastructure and services. The assistance is expected to help over 212,000 people. 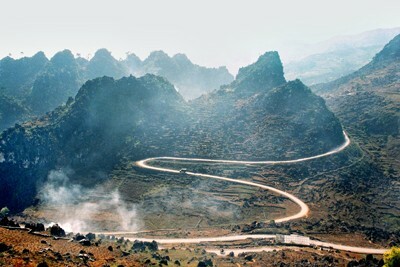 The project-beneficiary provinces of Bac Kan, Cao Bang, Ha Giang, and Lang Son have significant potential to become trade hubs thanks to their strategic location at the nexus of China, Hanoi, Hai Phong Port, and the ADB-supported Greater Mekong Subregion North-South Economic Corridor. The basic infrastructure for inclusive growth in the northeastern provinces sector project will help unlock the binding constraints through the development of basic infrastructure across key sectors including trade, transport, health, and agriculture. Total cost of the project is US$195.9 million, with the Government of Vietnam contributing US$45.9 million. The project is expected to be completed by the first quarter of 2023.